Ahh, the fall is here and my beautiful summer tan has started to fade. boo hoo!! My trick to keep it going is to gradually add a little sunless tan. I like to keep that sun kissed glow through out the fall. My skin just looks better with a tan. I look skinnier, I feel better about my self and I just like the way I look with a little sun on my skin. The safest way to do this, for me, is by self tanning. Now, the trick is to find a product that is going to work with this pasty skin of mine. I know I always talk about my pasty white skin, but I have really tricky skin. I am the oldest of 6 kids. My entire family is Italian and Irish. I am the only one that got that dang Irish. I have blue eyes, light hair and pasty light skin. I burn at the first sight of sun and I live with sunglasses on. I know all you ladies in my boat are all nodding your heads!! You feel my pain. 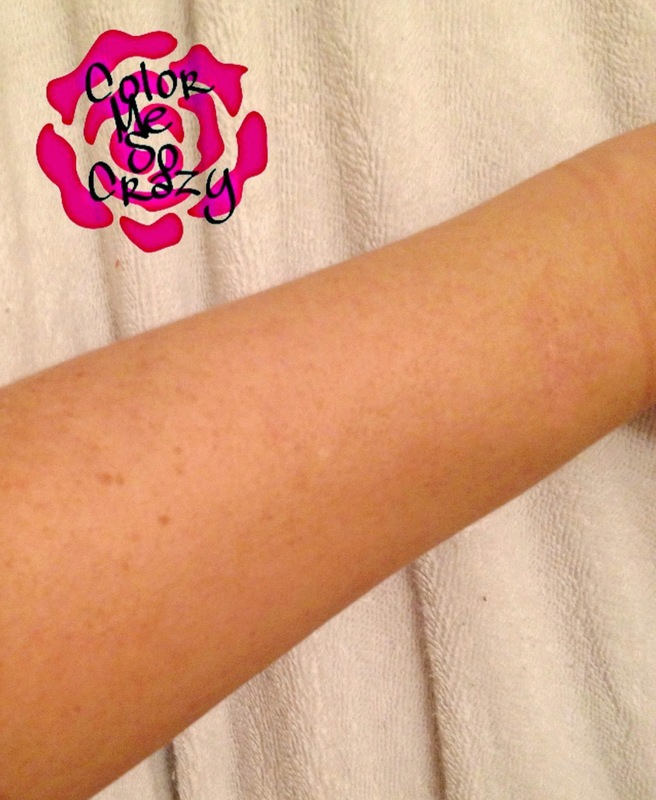 Finding a great self tanning that doesn't streak your skin or make you go from pale to "Snookie-color" is difficult. Color building is the key for me. 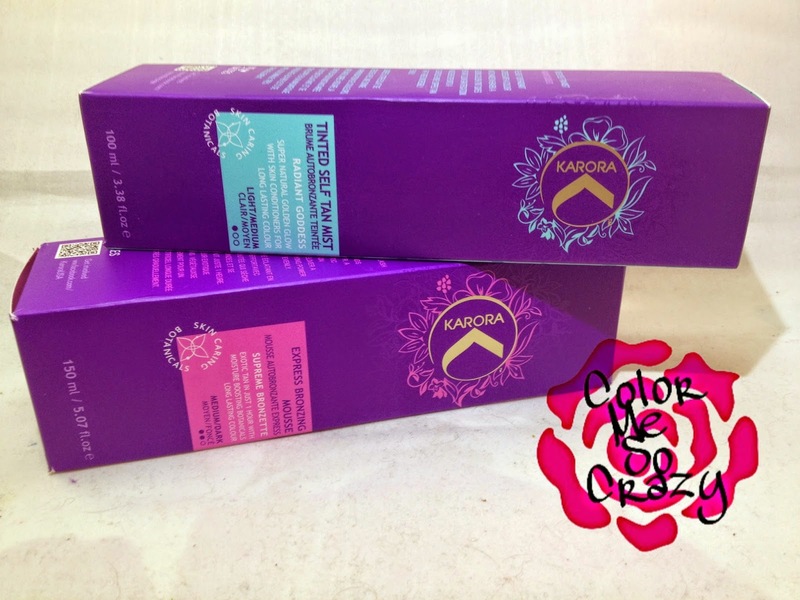 I was given two products form Karora to try out from their self- tanning line. The tint that I am using is light/medium because, well, that's what I am. If you have fair skin, I would recommend getting at least one that is a light/medium to bridge in. Even if you are planning on getting very dark, you want to start out light so you don't have such a drastic change. You don't want to be pasty white one day and then show up the next day and be dark. Ease into it my baby!! 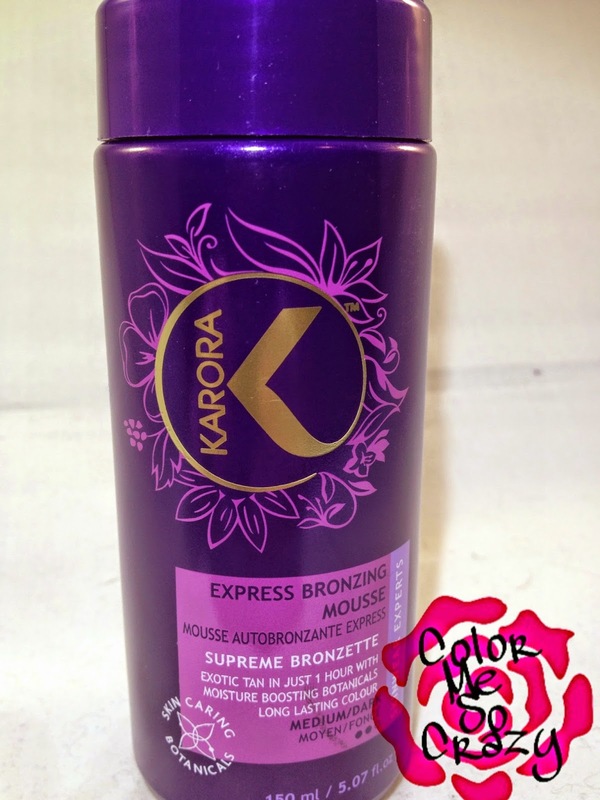 This is a bronzing mousse. This is a little different than the self tanning mist as in you only leave it on for a little bit of time. You can keep it on for up to 3 hours for a dark tan. Since I have been testing the regular self tanner, this is going on as a tan extender in the next couple days. So, be sure to stay tuned to see how this actually works. I am planning on keeping this on for only about an hour or so for a light glow. Once you apply, you are supposed to shower and it continues to develop and then your skin stays bronzed for up to 7 days. Available at: www.ulta.com and Ulta Beauty Stores nationwide, at www.hsn.com and from C.O. Bigelow. Some include exfoliating before applying to how far in advance you should shave or wax to what to do afterwards to maintain your tan. 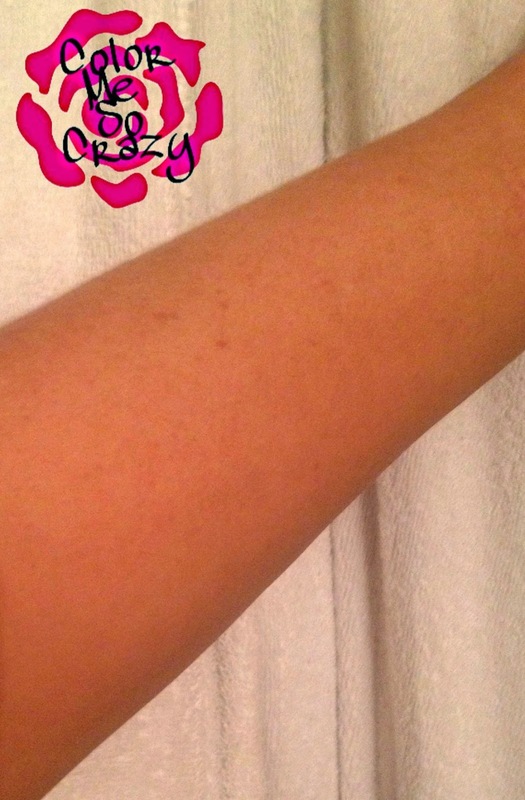 Before on the left and after 2 applications of the tinted tan mist on the right. It is a light to medium and you can see it's a pretty dark transition. The guide color on this product was nice. It was easy to apply. I liked that the light to medium was truly light to medium so it was a nice bridge for me to do a gradual build. Some products say light to medium and it's either too light or way too dark. This was a true light to medium build. The color was very natural looking. It was not orange and was very natural looking. I was able to do 2 applications of the light to medium and I will follow up with a dark application in a couple days. I am a little afraid to do the dark application because I really think that the color that I got with the light to medium build is perfect. The smell. This is a higher end self-tanner and this should really include some sort of better smell. 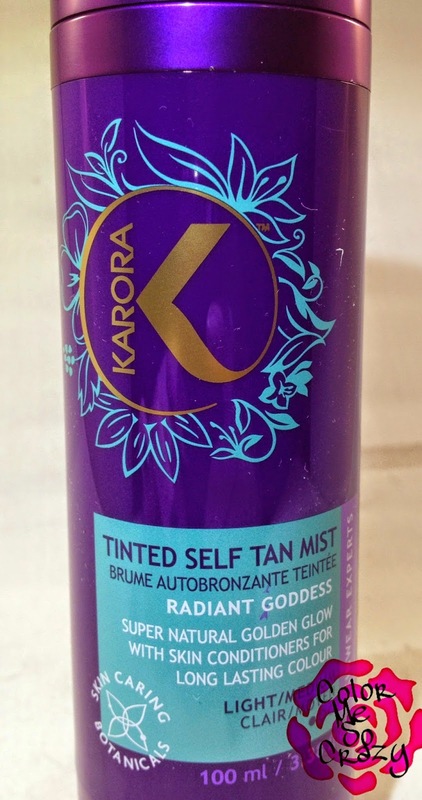 A lot of the higher end self-tanners that I have used have some sort of scent that covers up that usual self-tanner smell so that when you wake up in the morning you don't smell like you have been baking in self-tanner all night. I really wish there was a better scent with all of the great ingrediants that are in this product, I would think there would be a great scent. The glove was a little uncomfortable to use. It kept slipping out. I'm not sure if it's because the material inside was really slippery or if it was hard to grip because my hands are so small, but I have used these types of gloves before and never had a problem so I think it may be the material inside the glove. Before and after 2 coats of the self-tanning mist on the right. 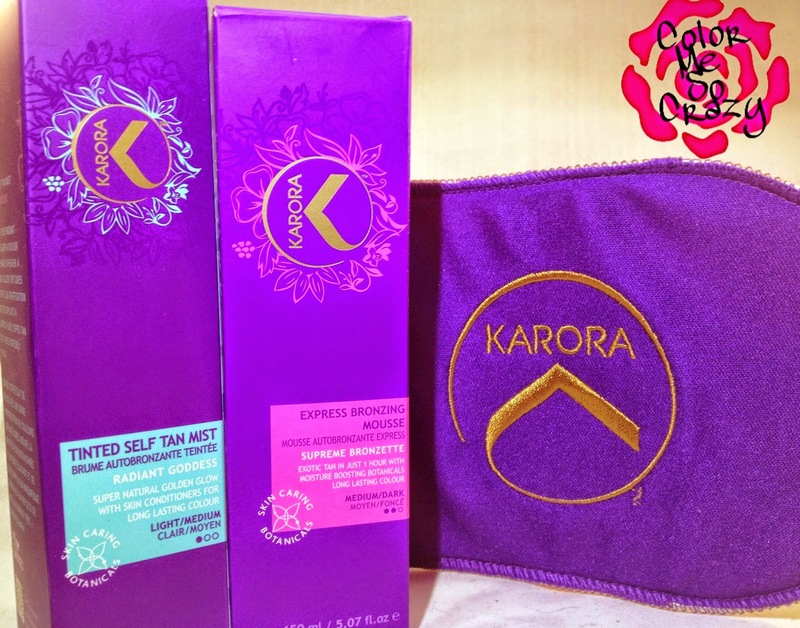 Overall, I really liked Karora self-tanning spray and lotion. 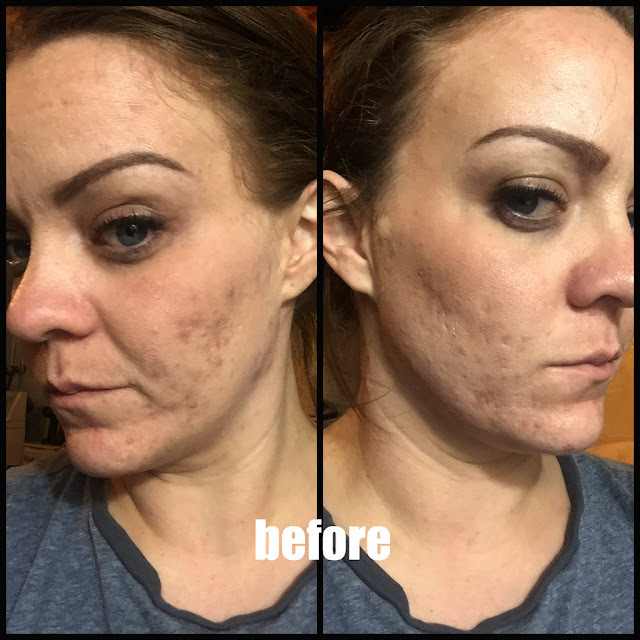 The product is really great. 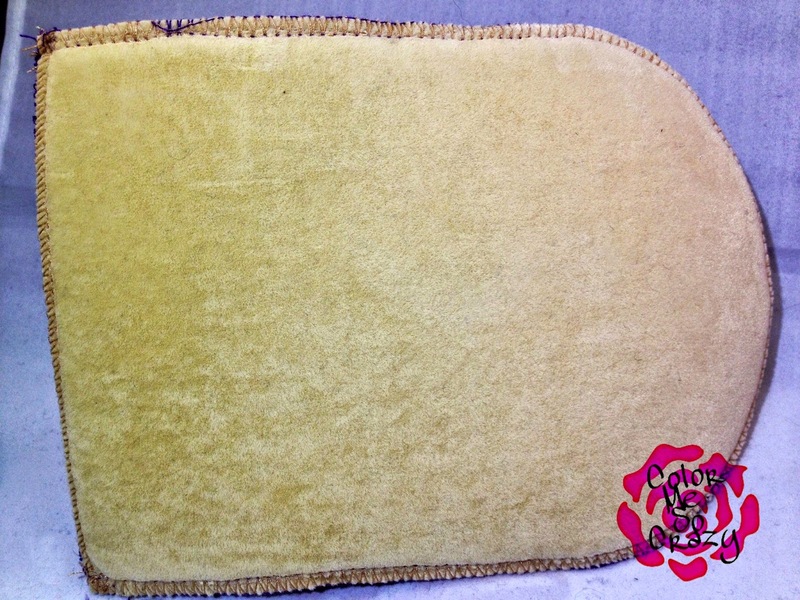 The color is very natural looking and the application is very easy and smooth. 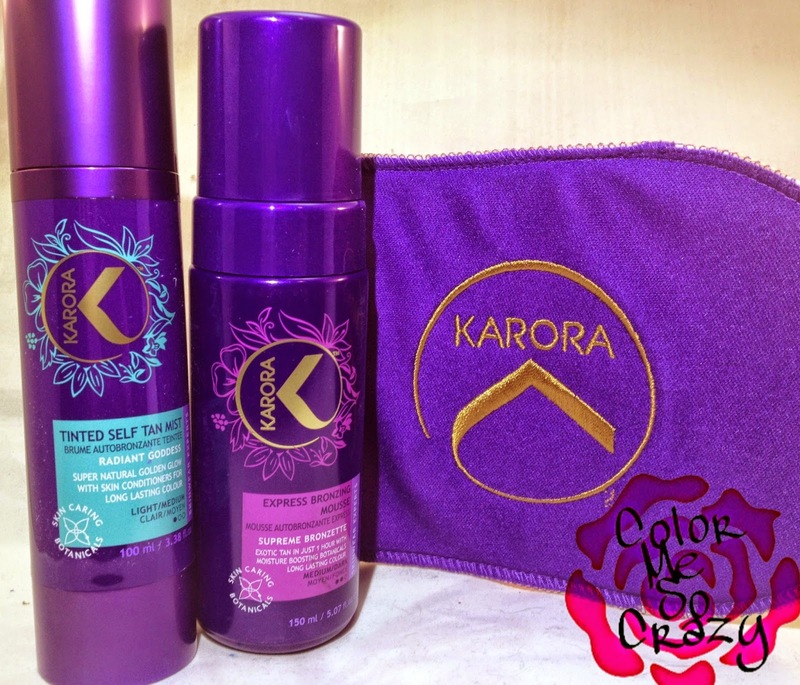 Karora has a ton of tips and help of their website which is fantastic to help their first time users and their users like me that only use during the fall and winter months to maintain that beautiful sun kissed color all year long. Don't forget, these self-tanners and bronzers DO NOT contain sun screen so if you go outside be sure to still apply your sun screen to protect your skin. With the nice bronze you get from these products, there will be no need to be lounging out in the sun.